This post contains a contest. Read to the end to find out how to enter. Just now, I asked Siri to find me coffee houses (shops) near me. She found fifteen within 1.1 miles, which seems to be the maximum number of places she finds at one time, so possibly more exist here in the heart of Houston, Texas within 1.1 miles or slightly further. In the past twenty years, coffee houses, shops as we call them now, are ubiquitous and great places to meet people. I’ve been known to interview prospective personal assistants at coffee shops because it’s a public place. In doing so, I follow a tradition as old as the coffee house. My interest in the history of coffee houses grew after I discovered a slightly battered and horribly dusty copy of a book entitled Gentlemen of the Coffee-House, while I was exploring the shelves of a tiny used bookstore in Winchester, Virginia. This book was published in 1934. The tale of the social institution of the coffee house over the previous three hundred years fascinated me, a confessed coffee addict and lover of coffee shops. Long before Starbucks and its competitors became ubiquitous, coffeehouses reigned as meeting places for friends, sites of commerce and breeding rounds for political intrigue. The first coffeehouse opened in Oxford, England in 1650 and in London two years later. By the time of the Restoration in 1660, Englishmen were meeting over this stimulating beverage instead of just intoxicating beverages. Coffeehouses were so important that mention of frequenting one are near the first of the entries of Samuel Pepys’ famousdiary. Pepys and his fellow Englishmen took their leisure in the coffeehouse to discuss everything from politics, to literature, to science. Soon, the coffeehouse became a place of business. Many businessmen kept regular hours at a favorite establishment and clients knew to find them there. For a few pence, a body could receive his mail at a coffeehouse. So important did coffeehouses become that King Charles II issued an edict to shut them down in 1675. He called them “seminaries of sedition”. The outcry against the order grew so boisterous that he rescinded the edict mere days later. In many ways, Charles II was proved right about sedition breeding in the coffeehouse. As the popularity of the coffeehouse spread across the Atlantic to America, they became places where colonists met to plan rebellion against the Crown. The Green Dragon in Boston is known for the site in which the concept of the Boston Tea Party was planned. Today, one can get a taste of an eighteenth century coffeehouse at Charlton’s Coffeehouse. Not far from the capitol, this small, unpretentious establishment surely echoes with many a whisper and then a cry for independence. Possibly the most famous of all coffeehouses is Lloyds of London. Yes, that Lloyds, the insurance company. In 1685, Edward Lloyd opened a coffeehouse. Over the years, Lloyds became a place for men to gather to obtain shipping news. Eventually, these merchants began to insure the cargoes of these ships traveling the globe for new sources of commerce, until Lloyds grew into the insurance company not merely insuring cargoes, but pretty much anything else, including the first civilian to go into space (and sadly die at the explosion of Columbia shortly after blast-off). 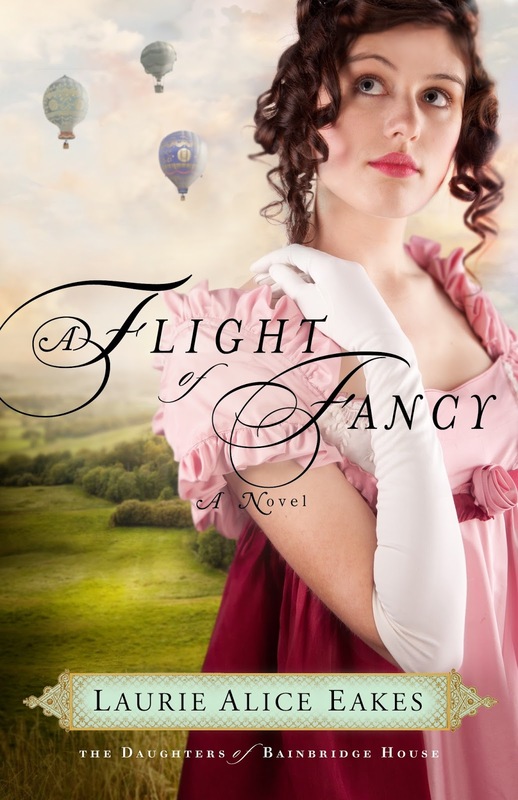 Leave a comment about coffee, tea, or your beverage of choice and where you like to enjoy it, (and your e-mail address, please) and you will be entered in a drawing to win either a Kindle or print copy of A Flight of Fancy, where a famous London coffee house is mentioned. (USA only for the print version.) Contest ends at 11:59 CDT, August 16, 2013. Please check back to learn the name of the winner, as many people forget to leave their e-mail address, which makes getting in touch with winners difficult. Wonderful post!! Thanks for the giveaway! I don't drink coffee, but I'll go to the coffee shop with my husband. I'll read while he's drinking coffee, usually at Panera Bread or Mill Mountain. But, I love to drink coke at McDonald's with a fry. Or a chocolate shake at Applebee's! Thank you for stopping by. I love coffee myself, the stronger the better. I use a splash of half and half and that's it, no sweetener, no flavor. And I drink gallons of water. I love a cold glass of water. I am a strange coffee drinker! I only like to drink it when the weather is chilly! I don't drink coffee in the summer at all. And I rarely buy coffee in coffee shops, but make it at home myself - Gevalia Kaffe decaf only! (I'm a snob! lol I think it tastes the best - best balance and smoothest flavor) If I do buy coffee out, it's a special treat from Tim Horton's with double/double cream and sugar. At home I use powdered creamer and Truvia sweetener. I'm limited to one cup of decaf a day or else I won't sleep at night, but that's about enough for me, anyway. Interesting tidbit about collecting mail at the coffee house! I enjoyed this mini history lesson immensely. While I am not a coffee drinker, I do enjoy the ways it smells! I love that coffee houses have always been a place for people to gather. Water, tea, and diet coke are my drinks of choice! Oh, I love my morning coffee, and an afternoon or evening coffee as a "pick me up." My favorite place to enjoy it is anywhere I can have some quiet with a good book--here at home or in a coffeehouse if it's too noisy with the kiddos running around! Thanks for the post and the giveaway! Thank you for the chance to win your book--it sounds delightful! Interesting post - never knew coffee houses existed that far back, but then I never frequent them except to buy a gift card for someone else - I don't drink it. I DO love tea, both hot & cold - love iced tea just about any time with meals, but also enjoy hot tea while reading, or watching tv or a movie - along with a snack. I fix both at home - unless I am eating out at a restaurant. I also love hot chocolate, hot spiced cider, & stevia sweetened vitamin water. Thanks for the opportunity to win a copy of your book! Thank you all for sharingyour drinks of choice. I never drank coffee until I went to France as a college stuent. That was all we got for breakfast, so I now like it very strong and milky cafe au lait, basically a latte, which I also love. I do, however, also drink herb tea and green tea mint ice tea. Hot chocolate is a favorite nighttime drink in the winter, which we don't have here in TX, but I drink it anyway. Here I make it with Mexican chocolate and it's thick and rich and has a hint of innamon. Delicious. I am a huge coffee lover- my day starts and ends with it! I just love how smooth it tastes. Such an interesting post - thanks. Would love to win. I am enjoying a cup of coffee as I write this. I added coconut milk since it's good for you and naturally slightly sweet. I do love to do Tea Parties and serve Tea along with the gospel. I spent years doing that on small island in Caribbean. Last one I gave we had 35 ladies from 18 different countries, all living on a 10 x 12 mile island. We sang Silent Night in 8 languages. I enjoy writing reviews for other authors. Barbara Anne Waite- Author Memoir "Elsie- Adventures of an Arizona Schoolteacher 1913-1916"
Plain old water. Any time and anywhere. Not a coffee drinker. So many people are. Did you ever see the old recipe for making coffee, and then adding an egg to it? I've never heard of putting an egg in coffee. I'll have to look up that recipe! I don't drink coffee, but that sounds interesting. OH my word, you hit on my favorite subject today! I first discovered my love of coffee houses with my best friend when I was 16. (I assure you that was quite a long time ago) I have forever since been addicted to them. I much prefer the mom and pop type over big name ones. I dream of one day owning a coffee shop/used bookstore with all types of eclectic clutter to decorate it. I can picture it now! So crazy to think they started that long ago. They were few and far between back when I discovered them here. Great post and thanks for the info!! I loved reading about the history of coffee houses! I don't think I've ever met a coffee house that I didn't like, but my favorite centers more around an experience rather than the coffee itself. My daughter, who likes coffee as much as I do (wonder where she got that? ), is a missionary in Tuebingen, Germany. I've been blessed to visit her twice so far, and each time we spend every minute we can at sidewalk cafes/coffee shops in the Old Town - talking and reading while enjoying our favorite coffees. This experience takes the coffee house to a much higher level! Thank you for the opportunity to win Laurie's book. She is a wonderful author. What an interesting post. I always thought of Coffee houses/shops as a relatively new thing! I am not much of a coffee drinker. I do enjoy a good frappuccino every once in a while, but too much caffine and I would never sleep. I think I missed the contest but found this interesting! Coffee houses fomenting rebellion...hee. My fave coffee drinks vary, but the one I always come back to is a raspberry latte. Though a gingerbread latte is a great perk of fall. I'm not a coffee drinker, but if I was somewhere that I had to drink coffee I would need plenty of sugar and cream. I love iced cold water and coke. I love to go to Sonic during their happy hours. Their comes are good and I love the ice. I prefer cold drinks over hot drinks. My family thinks I'm crazy. Thank you for sharing this post and please enter me in the contest. I've loved reading your posts. Wil announce the winner in a couple of minutes, as soon as the random number generator gives me the answer. Heather, this ended at 11:59 on the 16th, so you didn't miss the contest at all. Our winner is Carole Jarvis. I will be e-mailing you. I loved the coffee house post and am very appreciative of winning your book, Laurie. I just now responded to your e-mail. Thank you so much!